Forging is a gait abnormality related to the timing of the movements of the front and rear legs of the horse. Forging occurs when the toe of the hind foot strikes the heel or bottom of the front foot on the same side, just as the front foot is leaving the ground. A constant metallic click is heard when the horse is trotting, as the front foot is slow in leaving the ground and the advancing hind foot hits the heel. Faults in conformation can lead to forging in a young horse, especially one that is experiencing a growth spurt. Short backed horses with long legs, front or hind feet that are set too far under the body, long hind limbs, and “sickle” hock (straight leg) conformation can lead to gait abnormalities. Another cause of forging that is often overlooked is forelimb lameness. Any horse with forelimb discomfort that causes a short “stilted” gait or lack of extension can develop forging. Faults in conformation, lack of fitness, improper riding, fatigue, and age can lead to forging. When a young horse with a short back and long legs experiences a growth spurt, the changing conformation may cause forging. 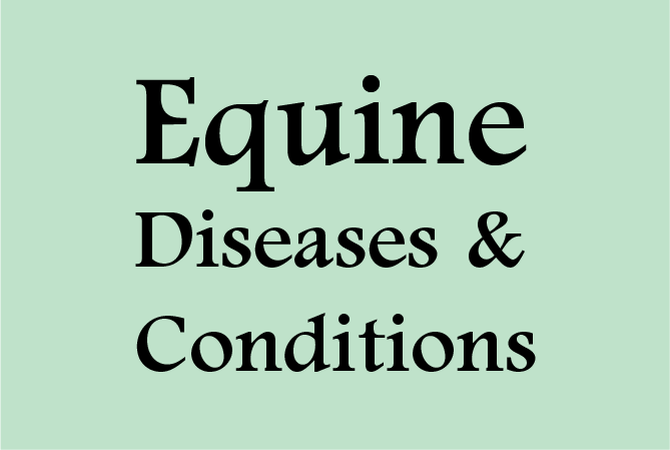 If a horse is not properly exercised and/or has a diet deficiency, a loss of coordination may occur, making it difficult for the horse to move smoothly. Unused muscles may stiffen, causing a faulty gait, and, because forging occurs because of lack of proper timing in movement of the limbs, the horse may establish a pattern of movement that leads to forging. Improper riding, where communication between rider and horse is poor, may lead to confusion on the horse's part, resulting in faulty gait patterns. As with humans, fatigue and age can slow reaction time. In a horse, discomfort or injury to the front limbs can lead to hesitant moves, allowing the back toes to hit the front heels. Given the causes of forging, the best prevention is catching any gait abnormalities early on and working with a competent farrier who can observe the horse and make adjustments in trimmingthe horse's hoofs, as well as choosing shoes that best fit the individual horse's needs. Treatment of forging should focus on improving the timing of the movement of the fore and hind limbs. A farrier can determine what is causing the faulty gait by observing the horse as it walks and trots. Excessive toe length may need to be trimmed, and a lighter shoe in the appropriate size used, to provide proper ground surface and support. The hind feet may need to be trimmed to create as much round surface as possible. A square toe shoe set back from the outline of the hoof wall at the toe can also be effective. This type of shoe on the back feet, coupled with trimming, will keep the back feet on the ground longer and decrease the break over of the hind limbs. In cases where symptoms of lameness in a front limb occur at the same time forging is noted, it may be necessary for a veterinarian to administer local anesthesia which can be used to block the front feet, and if the gait improves and the forging disappears, a thorough lameness examination should be initiated. Forging related to hind limb abnormalities often require trial and error to correct. If a horse continues to forge despite various shoeing modifications, it may be necessary to determine whether the horse is suitable for the particular athletic endeavors you as the horse's owner want to pursue. The one necessary requirement to eliminate forging no matter what the cause, is a good working relationship with a knowledgeable, competent farrier and in some cases the services of a veterinarian who can help determine what to do if lameness is involved.